New Mexico is known as The Land of Enchantment, a name that captures the state’s cultural history and its beautiful and unique landscape – including its rich and varied natural resources. New Mexico’s natural resources are an important foundation for the state’s scenic natural wonders, tourism and recreation industry, quality of life, and cultural heritage. The New Mexico Office of Natural Resources Trustee (ONRT) ensures that natural resources and the services they provide that are injured or lost because of contamination are restored for the benefit of the environment and the enjoyment of the New Mexico residents and visitors now and in the future. ONRT’s mission is to return injured natural resources and the services they provide to the condition that would have existed absent the release of contamination. The Natural Resources Trustee through the ONRT implements the Natural Resource Damage Assessment and Restoration Program. The ONRT assesses injury to natural resources caused by the release of hazardous substances or oil, and then seeks compensation from the potentially responsible parties for restoration of those injured resources. Compensation is used to restore, replace, or acquire the equivalent of injured, destroyed or lost natural resources and the services they provide. ONRT strives to develop cooperative relationships with responsible parties to achieve a more efficient and effective resolution to resource injuries. ONRT also works in partnership with other state and federal agencies to forward its mission. Natural resource damage assessment and restoration has many benefits. Natural resource restoration is paid for by funds recovered from parties responsible for the injury, not taxpayer dollars. Restoration has proven to be a means of promoting successful partnerships among industry, conservation organizations, community groups, and government agencies. 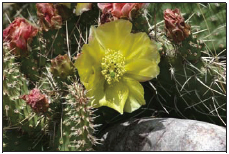 Restoration activities may accelerate recovery of the injured natural resources and protect them from further injury. 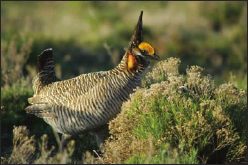 Restoration contributes to a healthy environment, which is an economic and cultural asset for New Mexico. A careful process is required to plan and implement restoration. It begins with the identification of a release of a hazardous substance or oil and is followed by an assessment of the type and extent of injury to natural resources. Natural resource damage assessment can be time-consuming to (1) understand the complex ecosystem of which a particular resource is part, (2) identify the adverse changes to the resources and the services the resources provide, and (3) determine appropriate compensation. Once injury is determined, the next step is to identify fair compensation for the loss of the resources and the services they provide from the time the injury occurred until their full recovery. Compensation is either in the form of appropriate restoration projects or cash settlements. The purpose of both restoration projects and cash settlements is first to restore injured resources, and if that is not possible, to replace or acquire equivalent natural resources and the services that were lost or impaired.